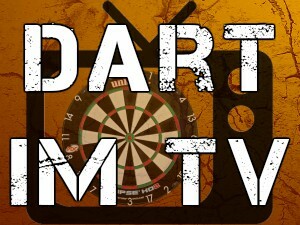 Dart Caller - Antony Dundas - "The Pup"
Dart Caller - Bruce Spendley - "The 9 Dart Ref"
Dart Caller - Elmar Paulke - "Dartpapst"
Dart Caller - Gordon Shumway - "Mr. Darts"
Dart Caller - Huw Ware - "Huw-dini"
Dart Caller - Jacques Nieuwlaat - "The Human Calculator"
Dart Caller - Jaimie Fambach - "Kung Fu Panda"
Dart Caller - John McDonald - "Mad Dog"
Dart Caller - Kirk Bevins - "Kirkulator"
Dart Caller - Marco Meijer - "De Verzieker"
Dart Caller - Martin Fitzmaurice - "The Legend"
Dart Caller - Nick Rolls - "Cheesey"
Dart Caller - Paul Hinks - "Flawless"
Dart Caller - Rab Butler - "Uncle Albert"
Dart Caller - Richard Ashdown - "Little Richard"
Dart Caller - Russ Bray - "The Voice"
Dart Caller - Sid Waddell - "The Voice of Darts"
Dart Profis - Adam Huckvale - "Bad Medicine"
Dart Profis - Adam Hunt - "The Hunter"
Dart Profis - Adam Smith-Neale - "Big Dog"
Dart Profis - Aden Kirk - "Captain"
Dart Profis - Adrian Gray - "The Conqueror"
Dart Profis - Adrian Lewis - "Jackpot"
Dart Profis - Alan Caves - "The Caveman"
Dart Profis - Alan Glazier - "The Ton Machine"
Dart Profis - Alan Norris - "Chuck"
Dart Profis - Alan Tabern - "The Saint"
Dart Profis - Alex Roy - "Ace of Herts"
Dart Profis - Anastasia Dobromyslova - "From Russia With Love"
Dart Profis - Anca Zijlstra - "The Phoenix"
Dart Profis - Andrew Gilding - "Goldfinger"
Dart Profis - Andy Boulton - "X-Factor"
Dart Profis - Andy Fordham - "The Viking"
Dart Profis - Andy Hamilton - "The Hammer"
Dart Profis - Andy Jenkins - "Rocky"
Dart Profis - Andy Smith - "The Pieman"
Dart Profis - Ann-Kathrin Wigmann - "Ann-Ka" "AKW"
Dart Profis - Anton Pein - "Toni"
Dart Profis - Antony Lopez - "Hot Fuzz"
Dart Profis - Arron Monk - "Mad Monk"
Dart Profis - Barrie Bates - "Champagne"
Dart Profis - Barry Lynn - "Livewire"
Dart Profis - Beau Greaves - " Beau n Arrow"
Dart Profis - Benito van de Pas - "Big Ben"
Dart Profis - Berry van Peer - "Bionic"
Dart Profis - Bob Anderson - "The Limestone Cowboy"
Dart Profis - Bobby George - "The King Of Darts"
Dart Profis - Brendan Dolan - "The History Maker"
Dart Profis - Brian Dawson - "Doggy"
Dart Profis - Brian Løkken - "Bright Light"
Dart Profis - Brian Sørensen - "The white Lightning"
Dart Profis - Brian Woods - "Pecker"
Dart Profis - Cameron Menzies - "Cammy"
Dart Profis - Carlos Rodriguez Sequara - "Carlitos"
Dart Profis - Charles Losper - "The Sensation"
Dart Profis - Chris Dobey - "Hollywood"
Dart Profis - Chris Landman - "The Countryman"
Dart Profis - Chris Mason - "Mace The Ace"
Dart Profis - Chris Quantock - "Quanny"
Dart Profis - Christian Bunse - "Bunsenbrenner"
Dart Profis - Christian Kallinger - "Gemini"
Dart Profis - Christian Kist - "The Lipstick"
Dart Profis - Chuck Puleo - "Pipes"
Dart Profis - Claire Brookin - "Ball"
Dart Profis - Cliff Lazarenko - "Big Cliff"
Dart Profis - Co Stompé - "The Matchstick"
Dart Profis - Cody Harris - "Code Star"
Dart Profis - Colin Lloyd - "Jaws"
Dart Profis - Colin Monk - "The Mad Monk"
Dart Profis - Colin Osborne - "Ozzy" - "The Wizard"
Dart Profis - Conan Whitehead - "The Barbarian"
Dart Profis - Corey Cadby - "The King"
Dart Profis - Corrine Hammond - "Rinnie"
Dart Profis - Craig Caldwell - "Sandstorm"
Dart Profis - Craig Ross - "The Rock"
Dart Profis - Cristo Reyes - "The Spartan"
Dart Profis - Damon Heta - "The Crusader"
Dart Profis - Daniel Sprudzs - "Feuerteufel"
Dart Profis - Daniel Zygla - "The Flame"
Dart Profis - Danny Noppert - "Noppie"
Dart Profis - Darin Young - "Big Daddy"
Dart Profis - Darius Labanauskas - "Lucky D"
Dart Profis - Darren Johnson - "Dynamite"
Dart Profis - Darren Webster - "The Demolition Man"
Dart Profis - Darryl Fitton - "The Dazzler"
Dart Profis - Daryl Gurney - "Superchin"
Dart Profis - Dave Askew - "Diamond"
Dart Profis - Dave Prins - "The Badger"
Dart Profis - David Cameron - "Excalibur"
Dart Profis - David Evans - "Stretch"
Dart Profis - David Nachreiner - "German Eagle"
Dart Profis - David Platt - "Babyface"
Dart Profis - Davy Richardson - "The Face"
Dart Profis - Dawson Murschell - "Awesome Dawson"
Dart Profis - Dean Reynolds - "Deano"
Dart Profis - Dean Winstanley - "Over the Top"
Dart Profis - Denis Ovens - "The Heat"
Dart Profis - Dennis Harbour - "The Harbour Master"
Dart Profis - Dennis Nilsson - "Ironman"
Dart Profis - Dennis Priestley - "The Menace"
Dart Profis - Dennis Smith - "Smiffy"
Dart Profis - Deta Hedman - "The Dark Destroyer"
Dart Profis - Devon Petersen "African Warrior"
Dart Profis - Dietmar Burger - "Didi"
Dart Profis - Dimitri van den Bergh - "The Dreammaker"
Dart Profis - Dirk van Duijvenbode - "Titan"
Dart Profis - Dylan Duo - "The Rock"
Dart Profis - Dyson Parody - "Dynamite"
Dart Profis - Eddie Dootson - "Popeye"
Dart Profis - Edwin Max - "Mad Max"
Dart Profis - Eric Bristow - "The Crafty Cockney"
Dart Profis - Francisco Ruiz - "El Coino"
Dart Profis - Gary Eastwood - "Clint"
Dart Profis - Gary Robson - "Big Robbo"
Dart Profis - Geert de Vos - "Foxy"
Dart Profis - George Killington - "The Killer"
Dart Profis - Gilbert Ulang - "Bhoy"
Dart Profis - Gino Vos - "The Fox"
Dart Profis - Glen Durrant - "Duzza"
Dart Profis - Hannes Schnier - "The Ram"
Dart Profis - Harry Ward - "Big H"
Dart Profis - Haruki Muramatsu - "Rising Sun"
Dart Profis - Haupai Puha - "Hopes"
Dart Profis - Irina Armstrong - "Ice Baby"
Dart Profis - James Hubbard - "Hotshot"
Dart Profis - James Hurrell - "Hillbilly"
Dart Profis - James Richardson - "Ruthless""
Dart Profis - James Wilson - "Lethal Biscuit"
Dart Profis - Jamie Bain - "The Fro"
Dart Profis - Jamie Caven - "Jabba"
Dart Profis - Jamie Hughes - "Yozza"
Dart Profis - Jamie Lewis - "Fireball"
Dart Profis - Jan van der Rassel - "Rassel Dazzle"
Dart Profis - Jarkko Komula - "Smiley"
Dart Profis - Jarred Cole - "King Of The Castle"
Dart Profis - Jason Barry - "Jacko"
Dart Profis - Jason Clark - "Cockney Jock"
Dart Profis - Jason Cullen - "The Whistler"
Dart Profis - Jason Wilson - "Stone Cold"
Dart Profis - Jeff Smith - "The Silencer"
Dart Profis - Jeffrey de Zwaan - "The Black Cobra"
Dart Profis - Jelle Klaasen - "The Cobra"
Dart Profis - Jerry Hendriks - "Electric"
Dart Profis - Jim Widmayer - "Captain America"
Dart Profis - Jim Williams - "The Quiff"
Dart Profis - Jimmy Hendriks - "Captain Jimmy"
Dart Profis - Jocky Wilson - "Jocky"
Dart Profis - Joe Chaney - "Chainsaw"
Dart Profis - Joe Cullen - "The Rockstar"
Dart Profis - Joe Murnan - "Shaggy"
Dart Profis - Johan Engström - "Sweet Ferret"
Dart Profis - Johann Honner - "Hansi"
Dart Profis - John Bowles - "Bulldog"
Dart Profis - John Goldie - "Goldust"
Dart Profis - John Henderson - "The Highlander"
Dart Profis - John Lowe - "Old Stoneface"
Dart Profis - John MaGowan - "Mr Magoo"
Dart Profis - John Michael - "Deadly Rose"
Dart Profis - John Norman Jnr "Junior"
Dart Profis - John Part - "Darth Maple"
Dart Profis - John Walton - "John Boy"
Dart Profis - Jonathan Worsley - "Womble"
Dart Profis - Jonny Clayton - "The Ferret"
Dart Profis - José Justicia - "Justi"
Dart Profis - Josh Payne - "The Maximum"
Dart Profis - Justin Müller- "The Punisher"
Dart Profis - Justin Pipe - "The Force"
Dart Profis - Justin Thompson - "Thommo"
Dart Profis - Kai Nithammer - "Sure Shot"
Dart Profis - Karel Sedlacek - "Evil Charlie"
Dart Profis - Keane Barry - "Dynamite"
Dart Profis - Keegan Brown - "The Needle"
Dart Profis - Kenny Neyens - "The Believer"
Dart Profis - Kevin Burness - "Iron Man"
Dart Profis - Kevin Knopf - "The Button"
Dart Profis - Kevin McDine - "SupaMc"
Dart Profis - Kevin Münch - "The Dragon"
Dart Profis - Kevin Painter - "The Artist"
Dart Profis - Kim Huybrechts - "The Hurricane"
Dart Profis - Kirk Shepherd - "The Karate Kid"
Dart Profis - Krzysztof Kciuk - "The Thumb"
Dart Profis - Krzysztof Ratajski - "The Polish Eagle"
Dart Profis - Kyle Anderson - "The Original"
Dart Profis - Kyle McKinstry - "The Village Man"
Dart Profis - Larry Butler - "The Bald Eagle"
Dart Profis - Leon Wilhelm - "The Lion"
Dart Profis - Les Wallace - "Mc Danger"
Dart Profis - Lionel Sams - "The Lion"
Dart Profis - Lisa Ashton - "The Lancashire Rose"
Dart Profis - Lourence Ilagan - "The Gunner"
Dart Profis - Luke Humphries - "Cool Hand Luke"
Dart Profis - Luke Woodhouse - "Woody"
Dart Profis - Magnus Caris - "Poker Face"
Dart Profis - Maikel Verberk - "The Spirit"
Dart Profis - Mal Cuming - "The Bull"
Dart Profis - Manfred Bilderl - "Beaver"
Dart Profis - Mareno Michels - "The Miracle"
Dart Profis - Maria O'Brien - "OB"
Dart Profis - Mario Masurka - "Nobody"
Dart Profis - Mario Robbe - "The Dutch Robot"
Dart Profis - Mark Dudbridge - "The Flash"
Dart Profis - Mark Frost - "Frosty The Throw Man"
Dart Profis - Mark Hylton - "Mile High"
Dart Profis - Mark Layton - "The Grinder"
Dart Profis - Mark McGeeney - "Gladiator"
Dart Profis - Mark McGrath- "The Cowboy"
Dart Profis - Mark Walsh - "Special Brew"
Dart Profis - Mark Webster - "Webby"
Dart Profis - Mark Wilson - "Sumo"
Dart Profis - Marko Puls - "The Pulse"
Dart Profis - Martijn Kleermaker - "The Dutch Giant"
Dart Profis - Martin Adams - "Wolfie"
Dart Profis - Martin Atkins - "The Assassin"
Dart Profis - Martin Schindler - "The Wall"
Dart Profis - Marvin Wehder - "Checker"
Dart Profis - Matt Clark - "Superman"
Dart Profis - Matt Padgett - "The Punisher"
Dart Profis - Matthew Dennant - "The Scholar"
Dart Profis - Matthew Edgar - "Primetime"
Dart Profis - Max Hopp - "Maximiser"
Dart Profis - Maximilian Johansen - "Maxi"
Dart Profis - Mensur Suljovic - "The Gentle"
Dart Profis - Mervyn King - "The King"
Dart Profis - Michael Barnard - "The Dinosaur"
Dart Profis - Michael Hurtz - "Hurtzi"
Dart Profis - Michael Plooy - "Nitro"
Dart Profis - Michael Rasztovits - "Rasto"
Dart Profis - Michael Rosenauer - "Rosi 501"
Dart Profis - Michael Smith - "Bully Boy"
Dart Profis - Michael Unterbuchner - "T-Rex"
Dart Profis - Michael van Gerwen - "Mighty Mike"
Dart Profis - Mieke de Boer - "Bambie"
Dart Profis - Mike de Decker - "The Real Deal"
Dart Profis - Mike van Duivenbode - "The Pigeon"
Dart Profis - Mike Veitch - "The Cat"
Dart Profis - Mikuru Suzuki - "Jadeite"
Dart Profis - Nándor Bezzeg - "Mighty Magyar"
Dart Profis - Nathan Aspinall - "The Asp"
Dart Profis - Nathan Derry - "Slingshot"
Dart Profis - Nico Blum - "Flower Power"
Dart Profis - Nico Mandl - "Speedy"
Dart Profis - Nicolas Horn - "Nic Nac"
Dart Profis - Niels de Ruiter - "Excellent Dude"
Dart Profis - Nigel Heydon - "The Undertaker"
Dart Profis - Nitin Kumar - "The Animal"
Dart Profis - Noel Malicdem - "Gentle Giant"
Dart Profis - Olive Byamukama - "OliveOye"
Dart Profis - Pál Székely - "Penge"
Dart Profis - Paul Hanvidge - "Polly Boy"
Dart Profis - Paul Hogan - "Crocodile Dundee"
Dart Profis - Paul Jennings - "Jenno"
Dart Profis - Paul Lim - "The Singapore Slinger"
Dart Profis - Paul Nicholson - "The Asset"
Dart Profis - Paul Rowley - "The Growler"
Dart Profis - Per Laursen - "Peachie"
Dart Profis - Peter Hudson - "The Rock"
Dart Profis - Peter Jacques - "The Terrier"
Dart Profis - Peter Wright - "Snakebite"
Dart Profis - Phil Taylor - "The Power"
Dart Profis - Phill Nixon - "Nixy"
Dart Profis - Pip Blackwell - "The Tip"
Dart Profis - Prakash Jiwa - "The Apache"
Dart Profis - Qiang Sun - "Daisen"
Dart Profis - Raymond Smith - "The Guru"
Dart Profis - Raymond van Barneveld - "Barney"
Dart Profis - René Berndt - "The Interceptor"
Dart Profis - René Eidams - "The Cube"
Dart Profis - Ricardo Pietreczko - "Pikachu"
Dart Profis - Richard North - "Lionheart"
Dart Profis - Richard Veenstra - "Flyers"
Dart Profis - Richie Burnett - "Prince of Wales"
Dart Profis - Richie George - "Richie Rich"
Dart Profis - Ricky Evans - "Rapid"
Dart Profis - Ricky Williams - "Tricky"
Dart Profis - Ritchie Edhouse - "Madhouse"
Dart Profis - Rob Cross - "Voltage"
Dart Profis - Rob Szabo - "The Hurricane"
Dart Profis - Robbie Green - "Kong"
Dart Profis - Robert Hughes - "Elvis"
Dart Profis - Robert Marijanovic - "Robstar"
Dart Profis - Robert Owen - "Stack Attack"
Dart Profis - Robert Thornton - "The Thorn"
Dart Profis - Robert Wagner - "Magician"
Dart Profis - Rod Harrington - "The Prince of Style"
Dart Profis - Roger Janssen - "Gizmo"
Dart Profis - Roland Scholten - "The Tripod"
Dart Profis - Ron Leon Kolberg - "Razor Ron"
Dart Profis - Ron Meulenkamp - "The Bomb"
Dart Profis - Ronnie Baxter - "The Rocket"
Dart Profis - Ronny Huybrechts - "The Rebel"
Dart Profis - Ross Montgomery - "The Boss"
Dart Profis - Ross Snook - "The Rock"
Dart Profis - Rowby-John Rodriguez - "Little John"
Dart Profis - Roxy-James Rodriguez - "The Chainsaw"
Dart Profis - Russell Stewart - "Rusty"
Dart Profis - Ryan Hogarth - "Headhunter"
Dart Profis - Ryan Joyce - "Relentless"
Dart Profis - Sascha Stein - "Stoiner"
Dart Profis - Scott Baker - "The Mod"
Dart Profis - Scott Mitchell - "Scotty Dog"
Dart Profis - Scott Rand - "Cool Hand"
Dart Profis - Seigo Asada - "The Ninja"
Dart Profis - Sharon Prins - "Racing Angel"
Dart Profis - Shaun Greatbatch - "9-Dart"
Dart Profis - Simon Preston - "Sidders"
Dart Profis - Simon Stevenson - "The Mirror Man"
Dart Profis - Stefan Stoyke - "The Calm"
Dart Profis - Stefanie Lück - "Lucky Luck"
Dart Profis - Stephen Bunting - "The Bullet"
Dart Profis - Steve Beaton - "The Bronzed Adonis"
Dart Profis - Steve Brown - "The Bomber"
Dart Profis - Steve Farmer - "The Train"
Dart Profis - Steve Hine - "The Muffin Man"
Dart Profis - Steve Maish - "Mr. Magic"
Dart Profis - Steve West - "Simply"
Dart Profis - Stuart Kellett - "KO"
Dart Profis - Sue Edwards - "Super Sue"
Dart Profis - Swen Rausch - "DeeJay"
Dart Profis - Ted Hankey - "The Count"
Dart Profis - Terry Temple - "The Terminator"
Dart Profis - Thomas Langer - "Boss"
Dart Profis - Ting Chi Royden Lam - "The Wolf"
Dart Profis - Tobias Höntsch - "The Enforcer"
Dart Profis - Tom Sawyer - "Today's"
Dart Profis - Tomas Seyler - "Shorty"
Dart Profis - Tony David - "The Deadly Boomerang"
Dart Profis - Tony Eccles - "The Viper"
Dart Profis - Tony Newell - "The Bear"
Dart Profis - Tony O'Shea - "Silverback"
Dart Profis - Tony West - "The Tornado"
Dart Profis - Trina Gulliver - "Golden Girl"
Dart Profis - Tytus Kanik - "Tyto"
Dart Profis - Ümit Uygunsözlü - "Angry Turk"
Dart Profis - Vincent van der Voort - "The Dutch Destroyer"
Dart Profis - Warren Parry - "Wazza"
Dart Profis - Wayne Jones - "The Wanderer"
Dart Profis - Wayne Mardle - "Hawaii 501"
Dart Profis - Wayne Warren - "Yank"
Dart Profis - Wes Newton - "The Warrior"
Dart Profis - Wesley Harms - "Sparky"
Dart Profis - Wilfried Hoberg - "Big Willy"
Dart Profis - Willard Bruguier Jr.
Dart Profis - Yordi Meeuwisse - "Tsunami"
Dart Profis - Zoran Lerchbacher - "The Hypercane""
Dart Verbände - DSAB - Deutscher Sport Automaten Bund e.V. Dartoids Welt Nr. 070 - Verstehen Hunde das Dartspiel? Dartoids Welt Nr. 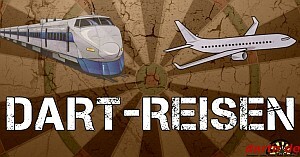 289 - Dr.Darts, Trina Gulliver und der Podcast "Briten und Yankees"
Dartoids Welt Nr. 303 - Hairspray !!! Dartoids Welt Nr. 316 - Was ist los mit Uniboffin? Dartprofis - Rusty-Jake Rodriguez - "Dartterminator Junior"
Game On... Nr. 04 - Payback... oder war das schon alles? Game On... Nr. 06 - Special "Michael Rosenauer"
Game On... Nr. 09 - Der deutsche Wildcardwahnsinn! Game On... Nr. 10 - Keep’em straight! ...Schnuller, Darts und Pokal! Game On... Nr. 11 - Dart ist fair ...oder "Die Enten-Gruppe kommt aus Gijon!" Game On... Nr. 12 - Der doppelte Verrat - Ehrenamt, oder Amt ohne Ehre? Martins Zwischen-Wurf - Game on… oder doch: Party on??? Martins Zwischen-Wurf - William Hill PDC World Championship 2017... oder sind wir nicht alle heiß wie Frittenfett? Martins Zwischen-Wurf - William Hill PDC World Championship 2017... und nun ??? Martins Zwischen-Wurf: Grand Slam of Darts 2017… oder: is it Dart? Yes! Dart it is!!! Martins Zwischen-Wurf: World Matchplay 2017... oder: hattet Ihr auch Temperatur im Gesicht? Mentales Dart-Training - Teil 1: Warm up - ich werfe also bin ich! Noch 1 Tag zur PDC Dart WM 2014 - und alle spielen verrückt!!! Parts Darts - Lektion 1 - Warum überhaupt trainieren? Toni's Kolumne Nr. 01 - 1. und 2. GDC Ranking 2008 - Das war bitter! Toni's Kolumne Nr. 03 - ÖMM - Titel mit UDSC Santa Fee verteidigt! Toni's Kolumne Nr. 06 - 3. und 4. GDC Ranking: Ein Traumwochenende! Video - Fußballsong mit Barney, Co Stompe, Martin Adams etc.